I don’t often make children’s cards, by kids are a bit past that age. And I’m very much a floral girl. But, I couldn’t resist this cute stamp set. I bought it in the pre-order and just hadn’t used it yet, until last night. Trying to get out of my comfort zone I whipped this up, I don’t think it came out too badly. 🙂 I’m interested to see what else I can do with it. 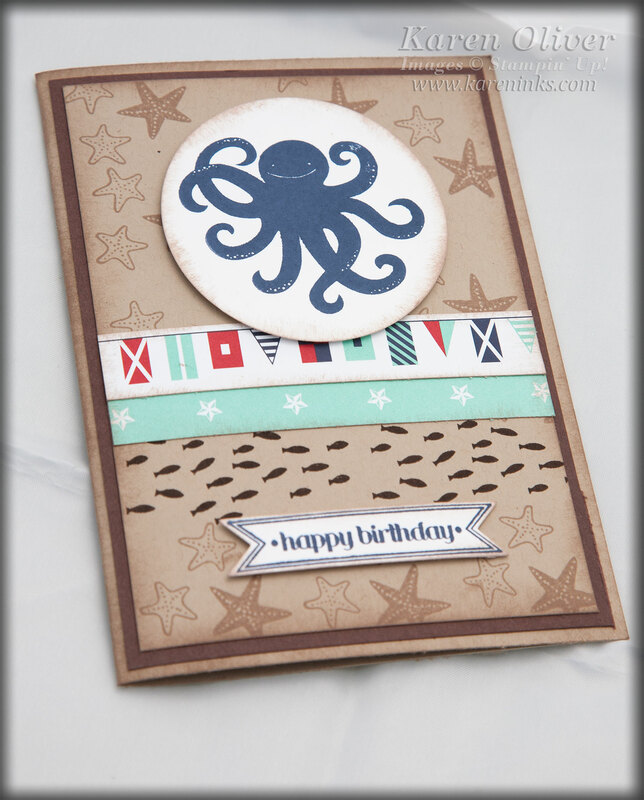 Accessories: 2 1/2″ Circle Punch, Itty Bitty Banners Framelits. This entry was posted in Uncategorized and tagged Crumb Cake, Itty Bitty Banners, Maritime, Sea Street. Bookmark the permalink.